Back in the 90’s the musical scene in Rome was particularly active and many musicians crossed paths and got to know each other on the many stages around the city. Right on one of those stages Niccolo’ Fabi, Max Gazzè and Daniele Silvestri met and eventually became close friends. 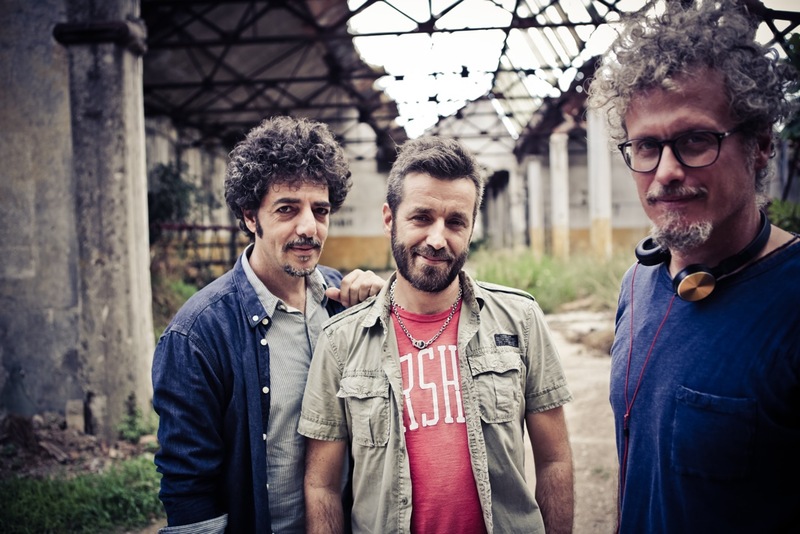 These three artists, who would strongly influence the Italian songwriting scene through their individual careeers in the following years, remained friends and worked together both with music and in the welfare. It was during a trip they took together to South Sudan, supporting CUAMM Ngo, that they decided to start a music project that would represent a new start of a 20-year-long journey together (as described in their first single “Life is Sweet”). Their project consists of an album of co-written unreleased tracks out on September 16th, 2014 by Sony/Universal Music, plus an Italian tour. Before that, the trio will only be performing in Europe outside Italy. Thanks to Universal/Sony, Fabi/Silvestri/Gazzè will publish their album also in the countries hosting their international tour.